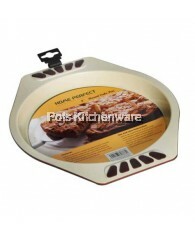 Made of high quality and durable material, this Home Perfect 9" Loaf Pan is a must have for all bakers! The Home Perfect 9" Loaf Pan is coated with Exdura Green ceramic coating which makes it non sticking, thus easy and convenient for removing your loafs after baking. 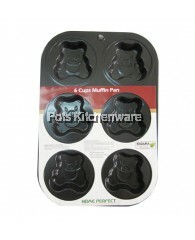 Besides, the ceramic coat is PFOA/PTFE free, hence safe for baking for your loved ones. 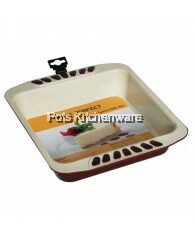 On top of that, the rubber grip on both sides of the Home Perfect 9" Loaf Pan prevents slip-offs when handling it. The stylish metalic design and color also makes it a cool addition to your kitchen top! Get it now while the stock last!